It’s the final day of Pittcon 2019 and what a week it has been! 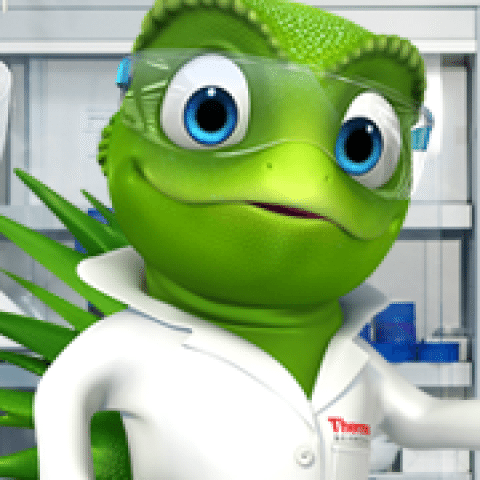 Last, but definitely not least: today’s featured solution is the Thermo Scientific Dioxin Analyzer. This workflow addresses the high cost and complexity faced by scientists testing food and animal feeds for low levels of dioxins and ‘dioxin-like’ polychlorinated biphenyls (dl-PCBs). The validated workflow is compliant with the latest EU regulations aimed at controlling the maximum levels of dioxins and dl-PCBs in food and feed as a full confirmatory method. 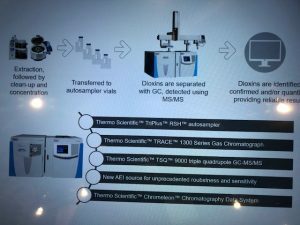 The Thermo Scientific Dioxin Analyzer includes the Thermo Scientific Triple Quadrupole TSQ 9000 GC-MS/MS system equipped with an advanced ionization source (AEI) designed for enhanced sensitivity, and a range of productivity tools all conceived to deliver reliable and cost-effective routine analyses. The workflow includes all instrument components, capillary GC column, system suitability check, standard solutions, software and comprehensive user guidelines for fast implementation and enablement of ongoing optimum performance. Thorough determination of harmful contaminants like dioxins and PCBs in food and feed samples is essential not only for compliance, but also to ensure consumer safety and confidence in our food chain. The Dioxin Analyzer helps food safety scientists carry out cost –effective sensitive screening and confirmation using an ‘off-the shelf ‘workflow that is robust, compliant and easy to use. Additionally, food-testing laboratories must analyze a range of complex samples meticulously, providing results back to their clients quickly and with the upmost confidence. Sensitive determination of trace levels in complex sample matrices facilitated by the new Thermo Scientific Advanced Electron Ionization source, which permits the use of low sample weights that is expected to provide both low costs of sample preparation and of system maintenance. Productive data processing and reporting through a comprehensive suite of tools and pre-loaded acquisition, calculation and reporting templates designed to meet European Union requirements for PCBs/dioxin confirmation. Operational simplicity with setup guidance documentation and quality check standard that can facilitate out-of-box implementation and help with training needs. Learn more about the products and solutions featured at Pittcon 2019 here.